Florida is home to the BEST inshore fishing that you can experience. From east to west, you can find excellent destinations to search for your targeted species. While you are visiting the amazing beaches and enjoying the sunshine, getting outdoors is a must. Florida Inshore Fishing is one of the best ways to do so. Cape Canaveral is on the upper east coast of Florida with exceptional fishing you can experience. 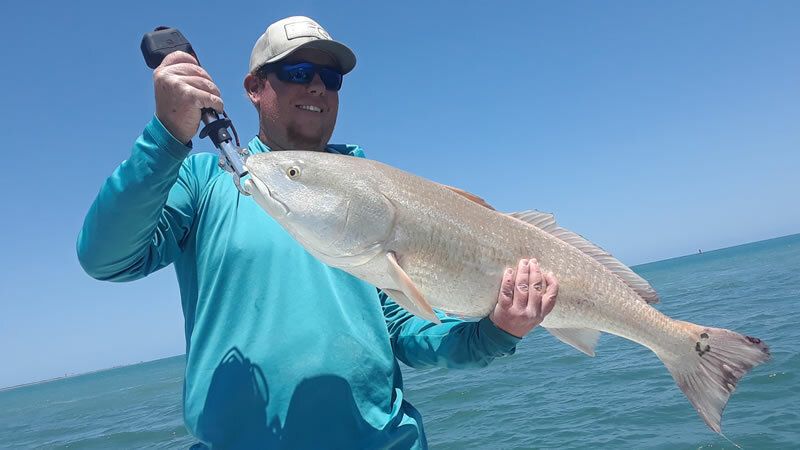 You will never go wrong Port Canaveral Fishing for Redfish, Snook or an abundance of other great Florida Fishing species. Captain Mark Gay adventured out with Leon Scott in search for an incredible fishing experience. 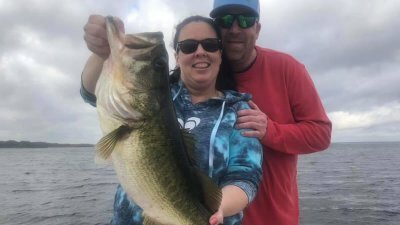 Leon was traveling from Maryland to specifically come fishing on the Space Coast. Port Canaveral has always been a place he wanted to explore since it was known for its incredible Inshore Fishing. Early summer months are the perfect time to come crush some of the best inshore species around. Fishing conditions were ideal for a day on the water. 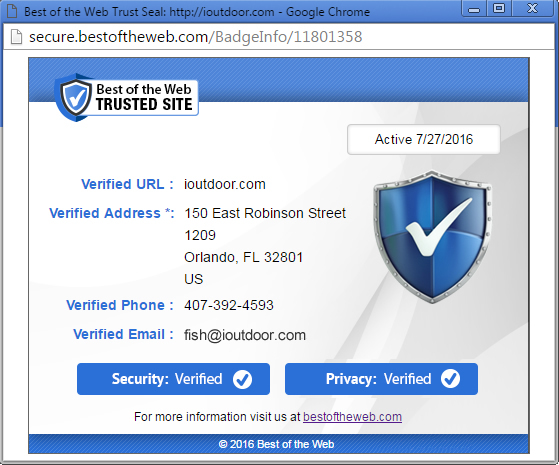 We adventured out of Freddie Patrick Park, located on the Port’s south side near Jetty Park. The inshore waters were calm on this fishing trip reaching a max of 2 feet at times. Most of those seas did not truly affect us as we fished the inshore along the beach and rocky shores. When you think of Florida Fishing, Cape Canaveral has it all. It is days like this on the water that truly represent that. Fishing Action was non-stop all trip long. The most effective technique was using live bait. Shrimp will also produce the most productive bite when fishing for redfish and snook. When fishing for these hard fighting species, make sure you come equipped with the best equipment. Penn Fishing makes by far the best fishing tackle you will need to land the fish of a lifetime. Rods and Reels whether combos or separate will help get the job done for you. They have exceptional top of the line gear. You also need the right line and leader so you don’t lose the fight. 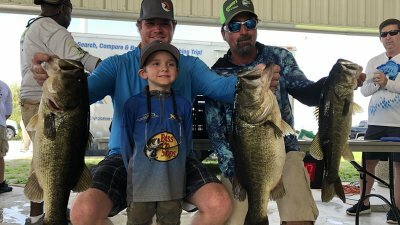 40 pound leader was the strength that helped put some of the quality fish we caught in the boat. 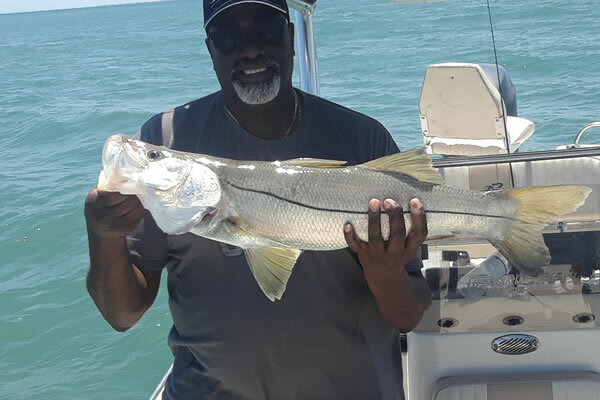 Leon landed several quality Snook and Redfish. 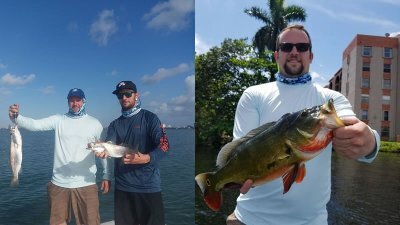 These two incredible Florida Inshore Fishing Species will provide ample fighting power that will keep you busy and excited you whole trip. Leon put 10 really nice Snook in the boat. Most were slot and were able to harvest up to the legal limit. Also, Leon was able to put Monster Redfish in the boat. He also put about 10 nice reds in the boat. 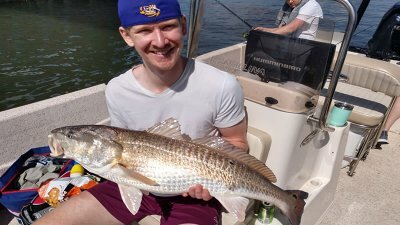 One of the Redfish was an absolute giant weighing 30 pounds measuring at 40 inches. All fish that were over slot were caught and released unharmed. Along with these amazing catches, Leon also landed black drum and a stingray. One of the best parts about fishing for inshore redfish and Snook is that they are great eating. As long as you are harvesting the slot limits for each species, you are in the clear. Allow your professional Captain to clean and bag your fish after the trip has been completed. One interesting fact about Port Canaveral is that it is the largest gateway to American seafood consumers between Jacksonville and Key West. At anytime, you can see large shrimp boats unloading their catch! Leon had a fantastic day Port Canaveral Fishing. Next time visiting from Maryland, he will make sure to explore more of this amazing fishery. Don’t miss this incredible action down here in Sunny Florida. The Space Coast is absolutely stunning with an abundance of outdoor fishing opportunities. Make sure to visit and check out this amazing place. Just a short drive away from Central Florida’s major tourist attractions and the large city of Orlando, you can find Florida’s Space Coast. It is only a quick 45-miunute drive east to some of the best coastal attractions in Central Florida. The coast is where sandy beaches meet world-famous surfing and oceanfront happy hours. The breathtaking nature, gorgeous year round weather and temperatures provide ample opportunities to enrich your senses. One of the best ways to truly experience this fantastic destination is the outdoor adventures. From Inshore to Offshore Fishing, discover how truly beautiful this location is. You can also experience exceptionally large cruise ships leaving and entering the Port or the true main attractions of rockets launching off. Let science, adventure and exploration truly capture you. Local cities including Cocoa Beach, Melbourne, Titusville, Palm Bay and Viera will not disappoint you on your travels. 72 miles of coast line will allow you to experience something truly unique from the moment you wake up. 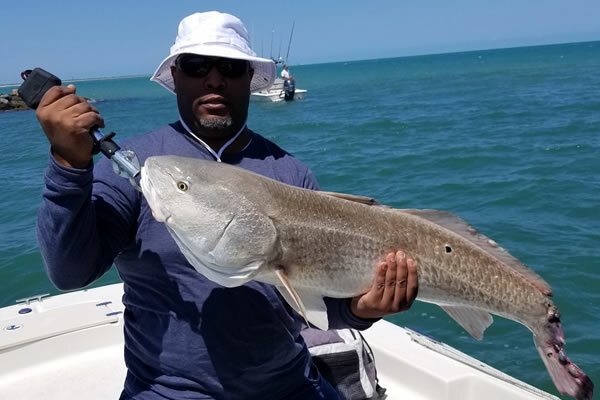 Get your toes in the sand, eat at fine dine establishments, surf the best waves, and most importantly set your hook into some of the best Port Canaveral Fishing you can experience. This destination will not disappoint you and is perfectly suitable for a family or romantic getaway. Don’t let yourself not enjoy and experience what this magical location can offer.